Astro Magic HD is easy to play. You can determine the number of active pay lines. In total, there are nine pay lines, but you can play with fewer. At the bottom of the slot, you can alter the coin value and the number of coins per pay line. Once you have configured everything, you can also choose whether you want to use the autoplay function or not. The animations on the reels are pretty and all link directly to the overall theme, which adds to the fun of playing. It is easy to recognize the wild symbol and this symbol can substitute for any symbol except for the scatter and the bonus symbol. Astro Magic HD is a particularly beautiful slot by software producer iSoftbet. The game has a very clean finish, as a result of which it is very easy to keep a clear overview. The game revolves around zodiac signs, as the title of the game gives away. The slot has free spins which come in the form of a bonus game. Additionally, it has wild symbols popping up frequently, which also help you win. However, if you’re looking for a massive jackpot, you might want to play another game. Namely, the maximum potential win on Astro Magic HD is just 9,000 coins, which is somewhat meager. On the other hand, it does mean that you win quite frequently. How to play Astro Magic HD? Astro Magic HD is equipped with free spins. In order to reach free spins, you need the scatter symbol to land on your reels in three-fold. Sometimes, you will also get a multiplier, but, usually, you can start playing immediately. When free spins start, the background changes, but the animations remain the same. During free spins, you can even win extra free spins, and at the bottom of the screen, you can find how many free spins you still have left. Also, there is a clock you can use to keep track of time. For example, for when you have an appointment you can’t miss but you still want to finish your free spins. When the bonus symbol lands on your reels in three-fold, you will be awarded the bonus game. During this game, you can win up to around 5,000 coins. You travel through space and all animations present on the reels, you will pass during the bonus game. 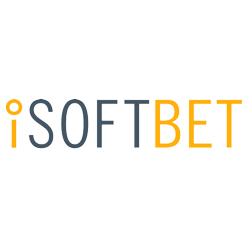 This is a fun extra feature iSoftbet clearly has thought about carefully. Astro Magic HD does not have a jackpot and the maximum potential win also does not even closely resemble that of a jackpot. Namely, the most you can win on Astro Magic HD is a scanty 9,000 coins at once. On the other hand, this does mean that you will win quite frequently. Additionally, it also has another advantage. That is, wins in the bonus game are rather large.The total number of pay lines in the game is nine, which is a rather small number. However, you can still play with fewer active pay lines if you want. All in all, Astro Magic HD is a fun successor of its predecessor, which clearly shows that iSoftbet has not succumbed to resting on its laurels.